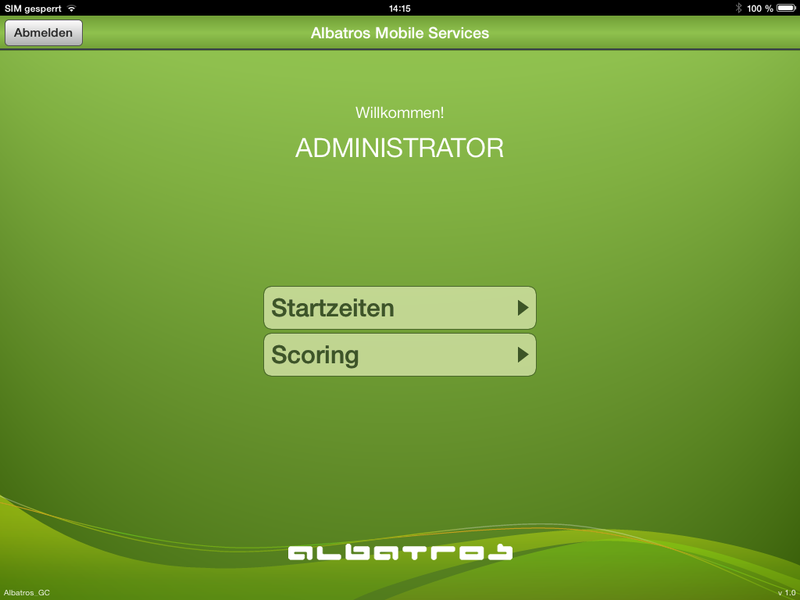 The Albatros Starter App on the iPad is a mobile application which ensures smooth gaming operations by displaying tee times in real time and by providing multiple editing options. 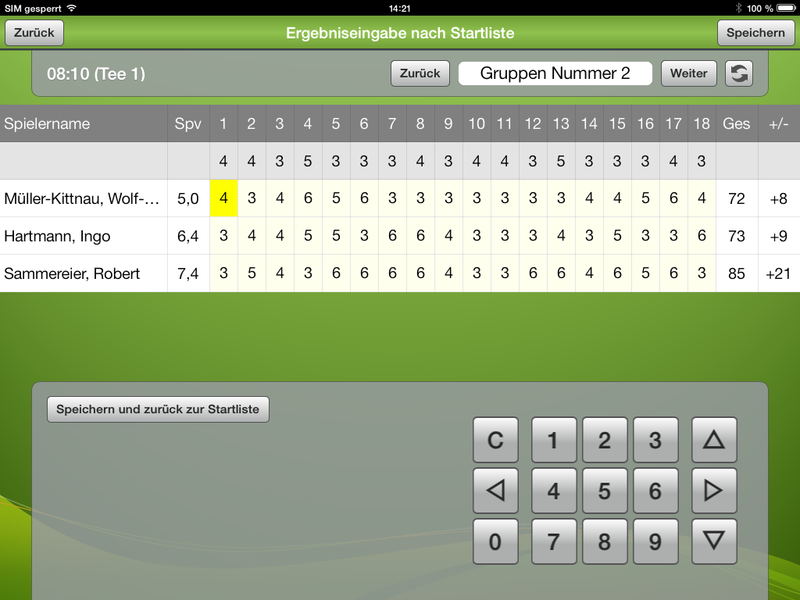 With the help of the iPad, starters at the tee can quickly and reliably check flights and do the check-in. 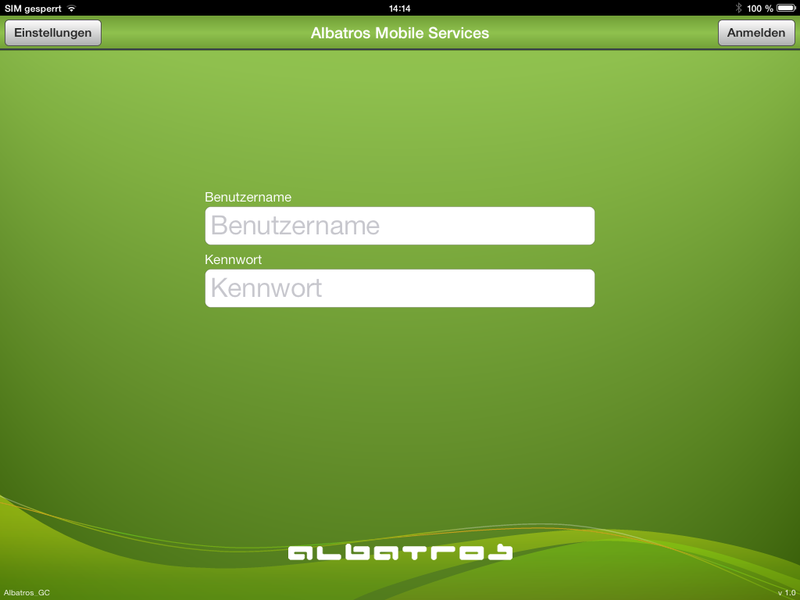 The App can be operated as usual via the iPad’s touch functionality and is clearly legible on its large but handy display. Players who arrive at the first tee without a reserved tee time can for instance be immediately registered and checked-in. These bookings are then immediately available at the club’s reception, which, consequently, ensures that no double bookings will occur. 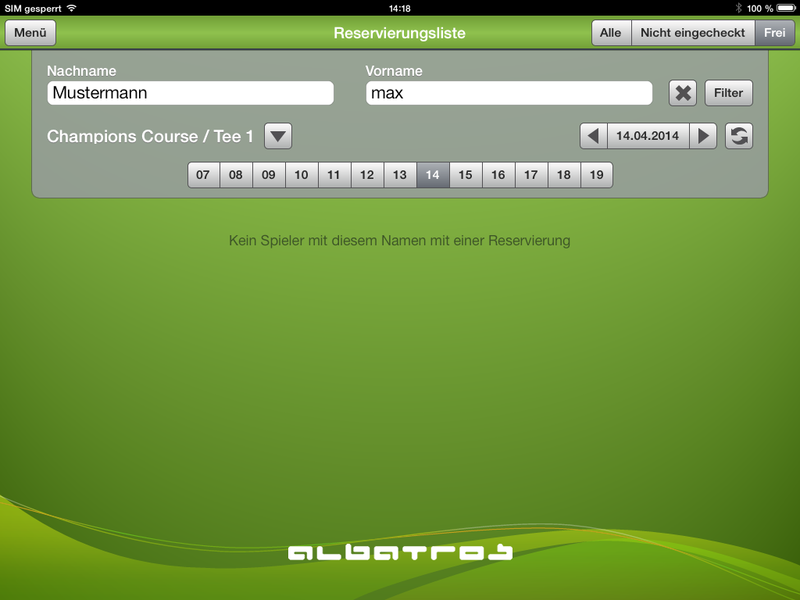 On top of that, you will benefit from a comprehensive registration of tee times – an indispensable tool to analyze play frequencies and occupancy rates. For the golf marshal, this tool provides a simple method to check which flight should be playing at which hole and where time delays were caused. This overview of flights and the calculation of delays for the following flights are useful tools to make sure that things run smoothly. 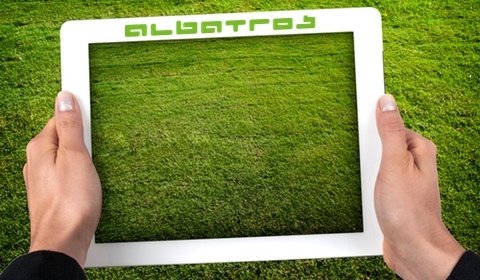 Your players will be glad about minimal waiting times and a rapid game structure. Moreover, the personal check-in at the tee will convince customers of your high service orientation. 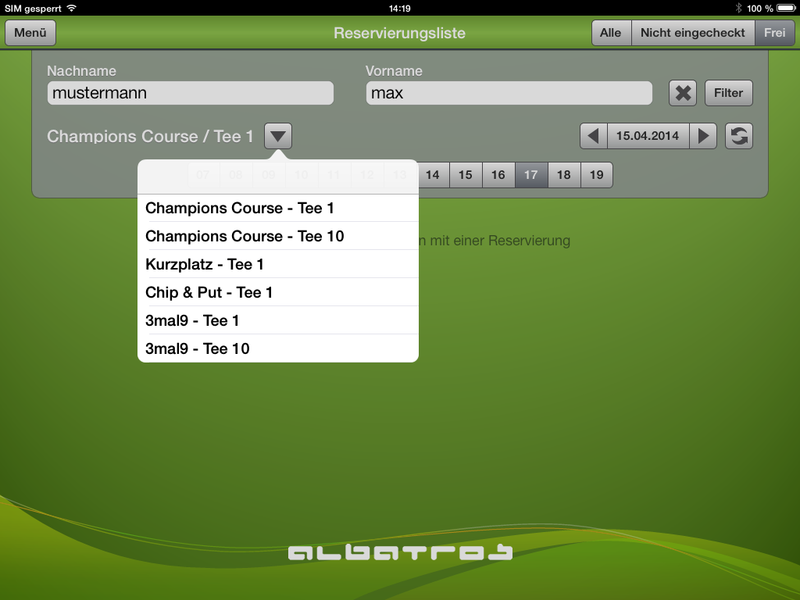 Golfpark Zimmern relies on livescoring events with on-course-scoring via iPad and the Albatros Tournament App in combination with Albatros Golf Club TV.